MADFORWATER partners gathered on the 13th and 14th of December 2017 in Bari at the Mediterranean Agronomic Institute of Bari CIHEAM for the 4th project meeting. Partners discussed general project progresses and future steps: analysis of water stress indicators and vulnerability maps; analysis and mapping of water stress effects on food security and socio-economic development; review on economic instruments and policies in water management in Mediterranean African Countries (MACs), results from the Life Cycle Assessment (LCA) and Cost Benefit Analysis (CBA) of the project technologies. 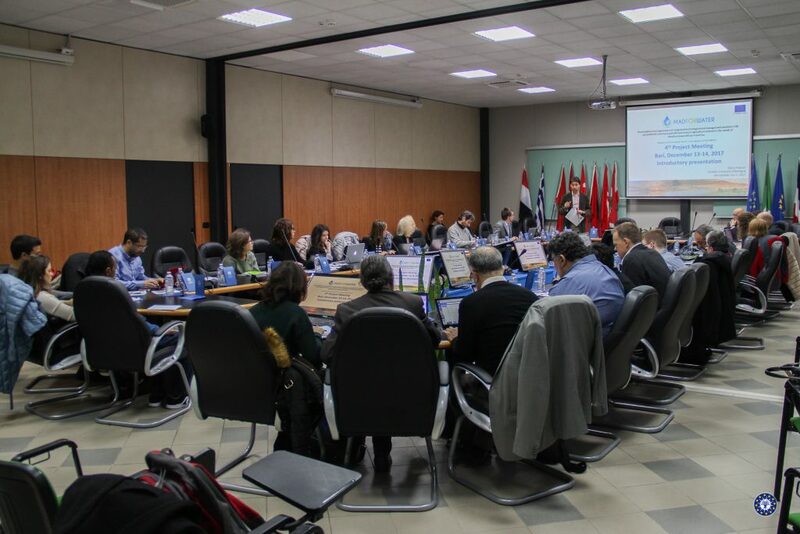 Three parallel sessions were also organized in the afternoon of the 13th of December to take the main decisions for future steps related to the work packages WP1 – Water stress indicators & overall strategy; WP2 – Wastewater treatment technologies and WP3 – Irrigation technologies & models; water & land allocation hydro-agro-economic model. Finally, partners discussed the organization of the next stakeholders’ meeting in Tunisia in May 2018. The next meeting will be held in Chania, Crete, in June 2018, within the joint conference of the 7th European Bioremediation Conference (EBC-VII) and the 11th International Society for Environmental Biotechnology conference (ISEB 2018). Register to attend the conference at http://www.ebc-vii.tuc.gr/en/home/. Interested in receiving news about the MADFORWATER project? Subscribe for our newsletter at https://lnkd.in/gHzBPCF!